Thank you Sandals & Beaches Resorts for sponsoring this post. While this was a sponsored opportunity from Sandals, all content and opinions expressed here are my own. 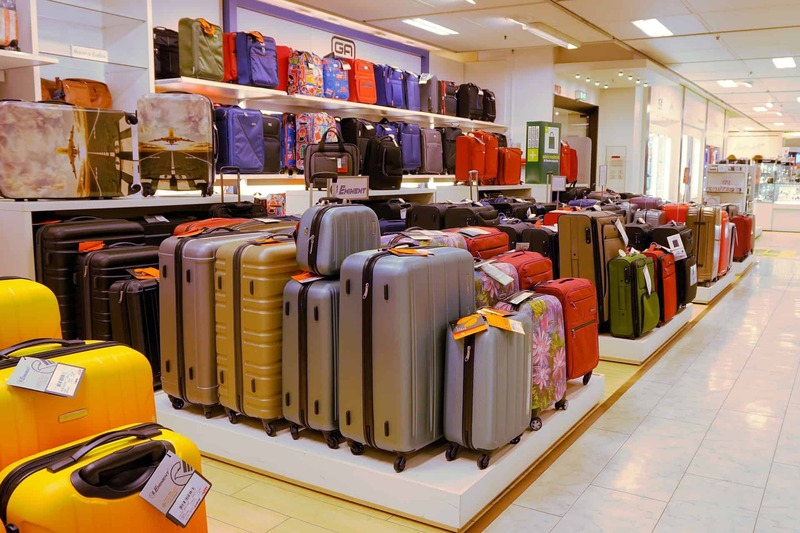 For those getting married in the cold winter months of December or January, you likely have visions of jetting off on a honeymoon right away. Preferably somewhere warm and relaxing! The big question that we’re focussed on in this article: Where to take an amazing winter honeymoon vacation? Mexico or the Dominican Republic are checked off your travel list (many times) from previous spring break and cheap winter getaway trips. Bali, Fiji, and Bora Bora all sound perfect and are strong contenders, but with only a week of vacation time you likely need a destination with a shorter flight time. Now it’s time to vacation somewhere you normally wouldn’t visit. May we suggest a part of the world that is close to home for most, and just as beautiful: the Caribbean Islands! Romance – it is a honeymoon after all! The Caribbean archipelago encompasses more than 7,000 individual islands and benefits from a tropical climate with year-round, beach-worthy temperatures. It’s no wonder that the Caribbean is consistently featured in many publications as a top 10 honeymoon destination: it definitely checks off all our honeymoon checklist boxes! With so many beautiful islands to explore there is a little something for everyone, especially for honeymooners. If you’re a couple trying to plan a destination for a winter honeymoon, read on to checkout all the best Caribbean Island hotspots. Jamaica is the Caribbean’s fourth-largest island and known for being the friendliest, mellowest island of all and is considered by many as the heart of the Caribbean. For honeymooners, Jamaica offers a vast range of activities, sights to see, and experiences to take in. A proud and vibrant culture, colonial heritage, and relaxation await in Jamaica. 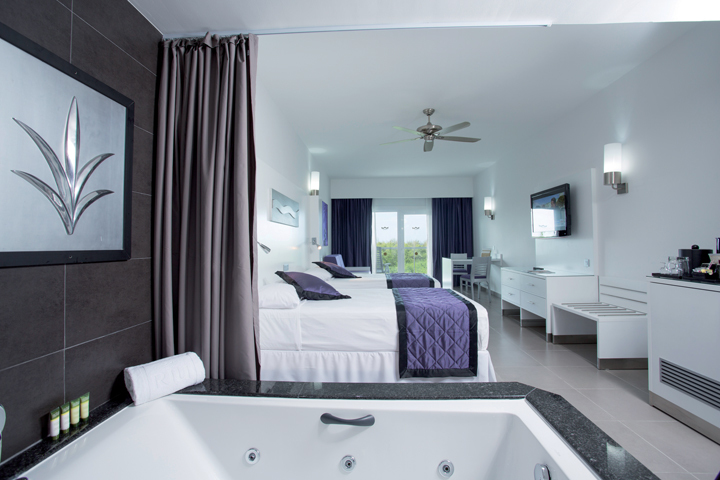 Sandals Ochi Beach Resort is a fantastic exclusive hideaway to call home when wanting to explore the north coast of the island. For those couples in search of culture, adventure, sun and relaxation, this island will simply be a dream all inclusive winter honeymoon to remember. As the birthplace of reggae music and host to January’s annual Jazz and Blues Festival, Montego Bay, draws over 30,000 music lovers from all around the world, while Negril’s famous Seven Mile Beach (which is really only 4 miles long) offers stunning sunsets at night, and Dunn’s River Falls in Ocho Rios is always well worth the hike. Besides the amazing food (authentic jerk chicken anyone? ), music, white-sandy beaches, lush green rugged mountains and endless waterfalls, one of the best aspects of the culture is the friendly nature and livelihood of the Jamaican people. If Jamaica is the island that you both want to start out your romantic chapter together, check out the area of Ocho Rios. A former fishing village that offers many active guided activity tours including zip lining, scuba diving and stunning nearby waterfalls, local craft markets and shopping centers, a main street lined with restaurants and also a lively nightlife. The Bahamas are a group of 700 islands that include over 2000 cays and islets. Newlyweds enjoy a fantastic variety of things to do including: world class diving, snorkeling, fishing and sailing – loved by the rich and famous! If it is your first time to the Bahamas, we suggest visiting the nation’s bustling capitol, Nassau. 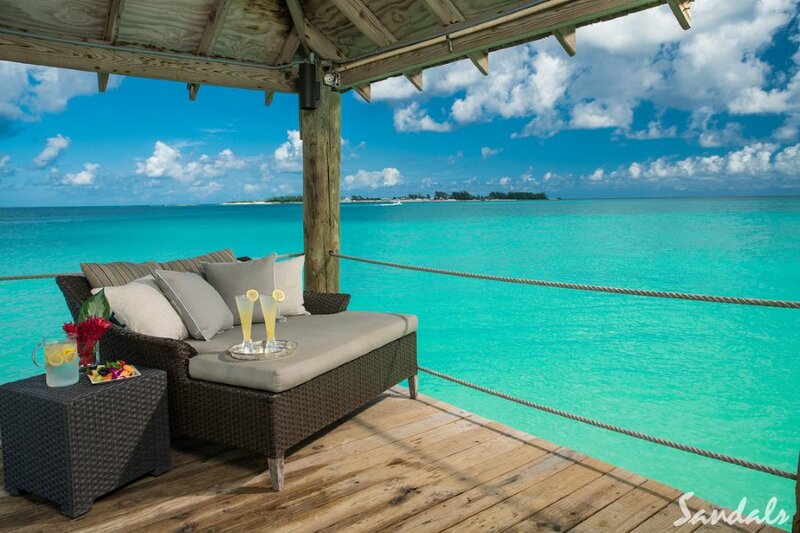 Stay at Sandals Royal Bahamian, which offers some serious R&R. Known as a favorited vacay spot of the Duke and Duchess of Windsor, if it’s good enough for the royals it is most certainly good for your honeymoon. Nassau is a popular vacation destination with plenty to do including shops, restaurants, museums and exploring the candy-colored colonial buildings. Check out the Nassau Straw Market for souvenirs, or take a day trip catamaran ride to Blue Lagoon Island to play among dolphins. If lazing around the hotel is more your speed, imagine sunbathing on the beach, paddle boarding, or take a dip in one of their 7 pools. If you need more action to fill your day, take part in the many hotel-run activities that are offered such as bingo, trivia, water/sand volleyball. Those whose idea of honeymoon heaven is just to get away from it all for awhile will appreciate the resort’s private island. A short boat trip runs every hour. If you are looking for crystal clear turquoise water, warm weather, and a romantic time in paradise, this hotspot will not disappoint. Often overlooked by many North Americans, the Caribbean Island of Grenada offers a more “off-the-beaten path” rustic vibe with authentic charm compared to other Americanized resort laden Caribbean Island counterparts. The island is known around the world as the Island of Spice, as it is the world’s largest exporter of nutmeg. Hmmm, using nutmeg on a winter vacation — I’m sensing a beverage option that is both festive and feelgood! The capital of Grenada is the town of St. George, and it is said to be one of the more beautiful cities in all the Caribbean. A constant aroma of nutmeg in the air, luxury sailboats anchored in the large natural harbour, and lovely pastel-colored houses make it easy to envision why St. George is considered so alluring. 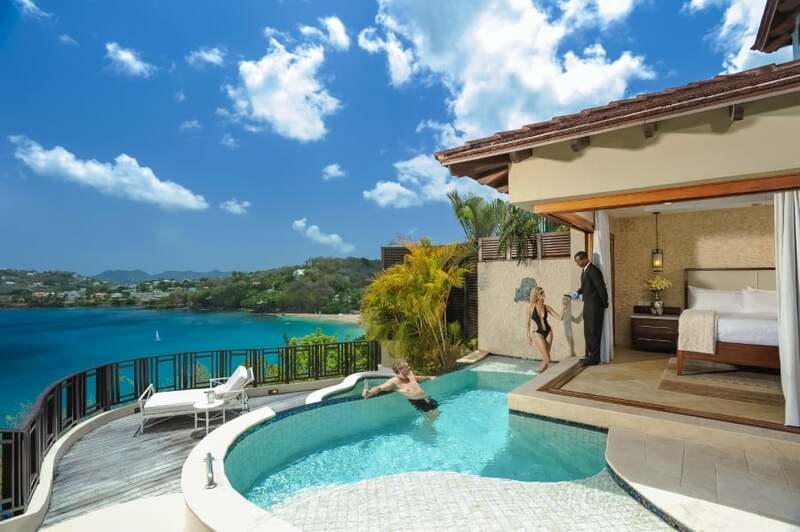 Most of the top luxury accommodation options on Grenada are a combination of refined relaxation. 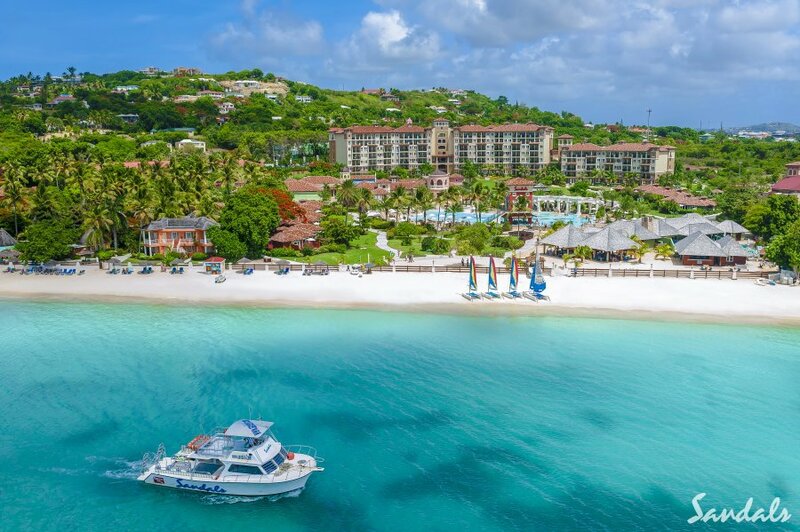 For example, Sandals Grenada, offers an exotic, unspoiled hideaway in the heart of Grenada exclusive Pink Gin Beach, perfect for newlywed couples looking for low-key tranquility, romantic strolls on the beach, and pampering time at the spa. Sign up for a day of watersports. Couples looking for soft sand, a slower pace of life (sans high rise buildings), lush green rainforests, and dramatic coastline should consider Grenada as a honeymoon worth indulging in. Are you both beach connoisseurs looking for a relaxing week upon a sun lounger with a cocktail in hand? Well, we have the ideal honeymoon spot! With 365 white sandy beaches, Antigua has you covered with one new beach for every day of the year. Or, at least every day of your honeymoon. You’ll both reach a state of well rested beach-bum-newlywed in no time. Stay at the charming seaside oasis, Sandals Grande Antigua, which is voted year after year one of the world’s leading honeymoon hotel. 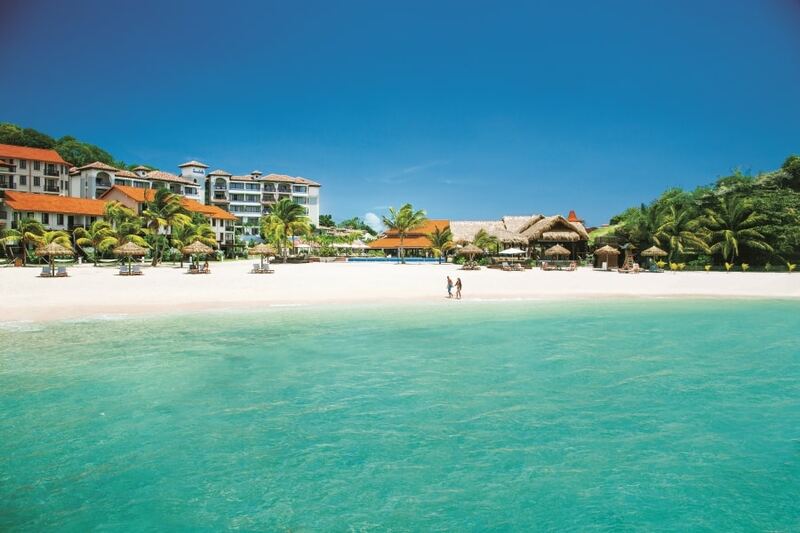 Enjoy a romantic stroll along the most famous beach, Dickenson Bay right outside your hotel room. With the laid back vibe and warm temperatures all year long, Antigua makes for the perfect honeymoon location at any time of the year, especially winter. If you can manage time away from the beach to explore the island, you won’t be disappointed. Antigua offers colorful culture, colonial history, and lots of cricket. It also has many breathtaking bays, stunning cliffs, and lush forests. Or, snorkel through the crystal clear waters to view local marine life as well as exciting coral encrusted shipwrecks. If you are looking for a lively night out, check out the most famous viewpoint in Antigua called Shirley Heights, which overlooks English Harbour. Not only is it beautiful, it is also renowned for its Sunday night parties with traditional rum punch, BBQ feast, and steel drum band. Another interesting site to take a leisurely stroll around is Nelson’s Dockyard, a Georgian-era marina and national park that became a UNESCO site in 2016. With super easy accessibility to island hop, you can be playing on the shores of Antigua in the morning and sipping rum punch on a patio in Barbados by the afternoon. As a well-known location for destination weddings and honeymoons, Saint Lucia exudes romance and is the perfect destination for a couple in love. Surrounded by breathtaking natural landscape, pristine rainforests and unspoilt beaches, this island has plenty to offer both active travellers and those looking for complete relaxation. After taking in the history and culture of this volcanic island, book a cycling or 4WD buggy tour, test your balance windsurfing, or relax upon a chartered yacht. If you want a little more wind in your hair try the forest canopy zipline challenge. Or simply sit back and enjoy a delicious meal and true Caribbean hospitality. The island has two steel mountain ranges that span the whole island called the Pitons. They are a prominent natural feature and make for a lovely ( yet challenging) hike. After a long hike, find your way to the Sulphur springs for a dip in the natural hot springs. Alternatively, if you are in need of a bit of nightlife and authentic culture check out one of the two street festivals that take place every Friday night. Barbados is one of the most sought-after winter island destinations, and makes a perfect addition to our winter honeymoon getaway list. Barbados is an island with dual heritage. Although having gained its independence from Britain in 1966, it still holds onto its British traditions – horse racing, cricket matches, and afternoon tea. The lifestyle of the locals, however, is truly West Indian. This can be seen through their cuisine, which varies thanks to the fusion of African, West Indian and Spanish influences. While all of Barbados’ shorelines boast picture-perfect postcard views and calming sea breezes, some of the country’s must-see beaches include Dover Beach and Bathsheba Beach. 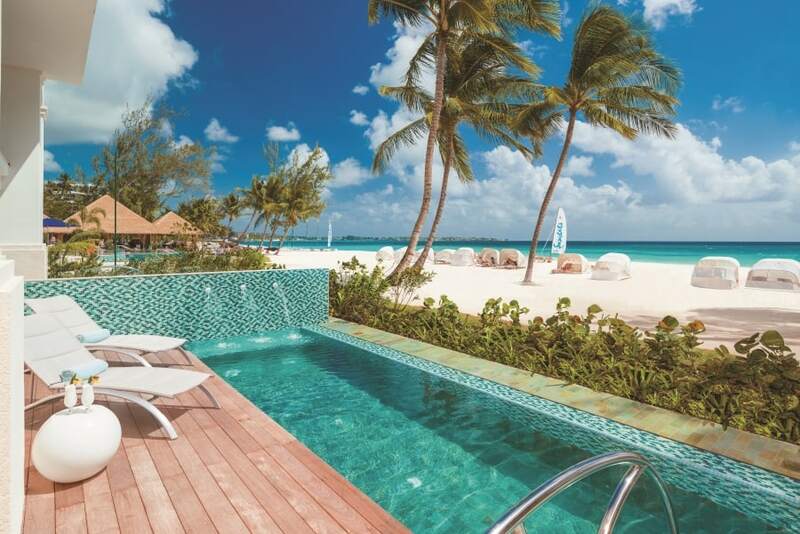 Speaking of Dover Beach why not stay at Sandals Royal Barbados Resort, located on the west cost of the island right on the beach. This area of Barbados is known to attract the world’s leading sports stars and royals alike. Although you could spend most of your days on the beach, you will likely find a ton of things to do while living it up in this Caribbean paradise. Well known for its laid back lifestyle and world-famous rum punch, honeymooners enjoy the botanic gardens, a visit to the historic plantations, and playing a round of golf. With up to 70 miles of coastline and near perfect water conditions that boast visibility of up to 80 feet, snorkeling is a must! Explore coral reefs, marine life, and sunken ships. If snorkeling isn’t your thing, how about a romantic catamaran tour to watch the sun set into the sparkling sea? End your sun set filled days with your loved one while dancing to calypso music and sipping on world-famous rum cocktails. 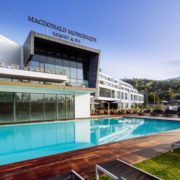 With this list of 6 top Caribbean destinations for a winter honeymoon, you should be well on your way to finding the perfect romantic memorable getaway. Pack your bags and don’t forget the sunscreen, swimwear, and a good book. You’re on your way to enjoying a relaxing honeymoon as husband and wife!